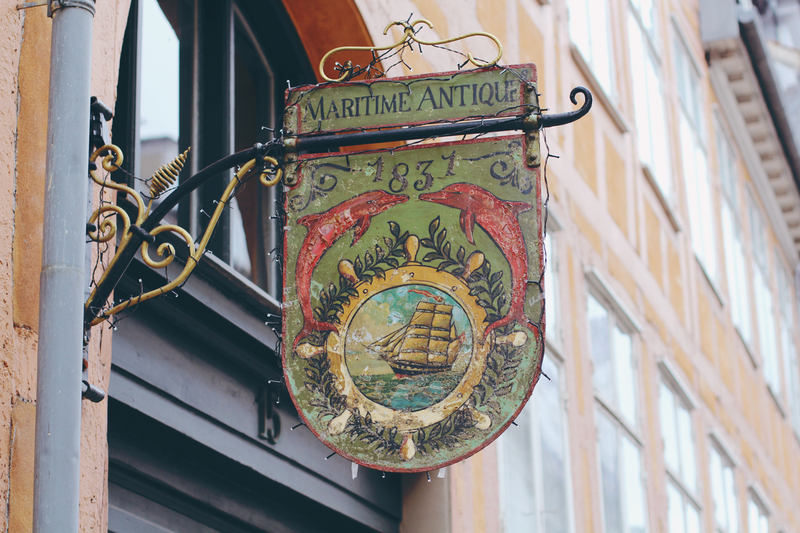 So it may be a little while back that I ventured to Copenhagen to see in the new year, but that doesn’t mean that I’ve forgotten to share the adventure with you, along with my recommendations. 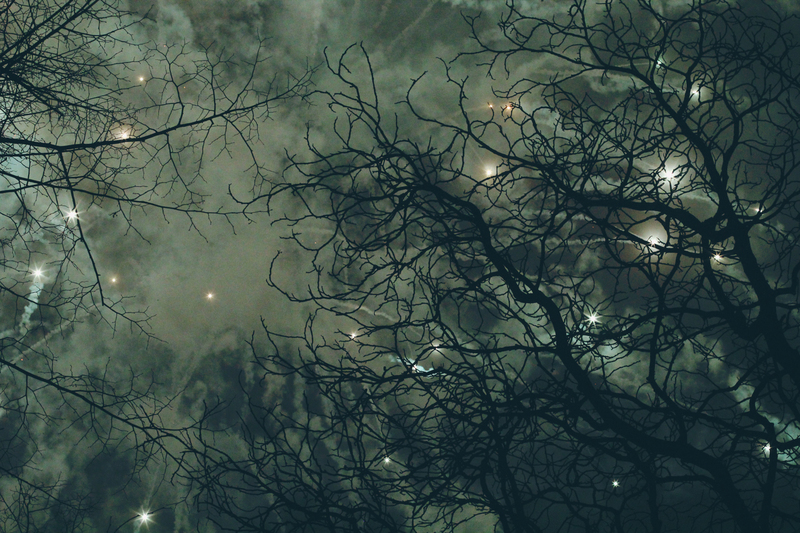 I absolutely loved the post-Christmas trip, and spending NYE abroad, having never done that before. 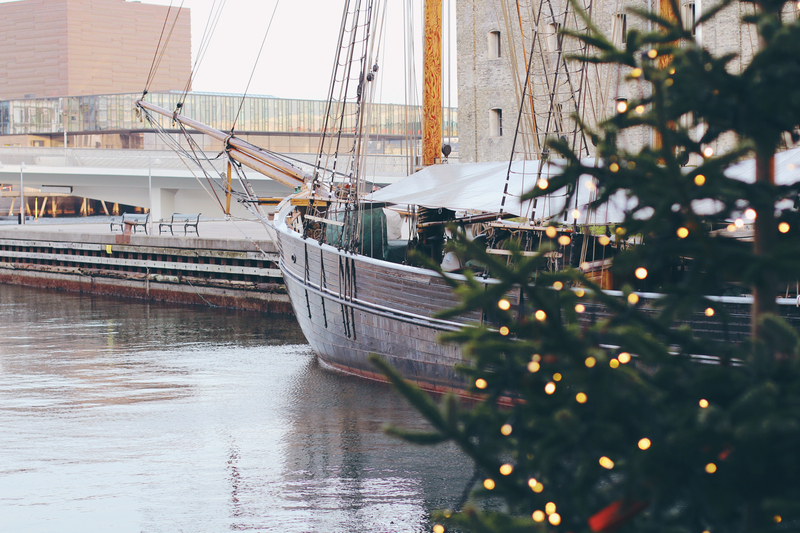 But seasonal festivities aside- Copenhagen is an amazing place to visit year round, and today I wanted to share some of the favourite places that we visited whilst we were there. 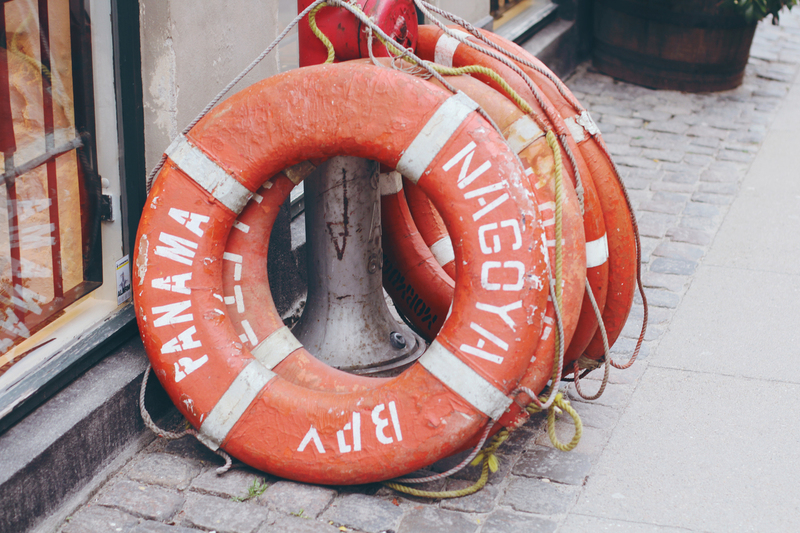 I’ve linked every place possible for you, so you can grab the addresses etc really easily- so just click the place names for more information for your trip! 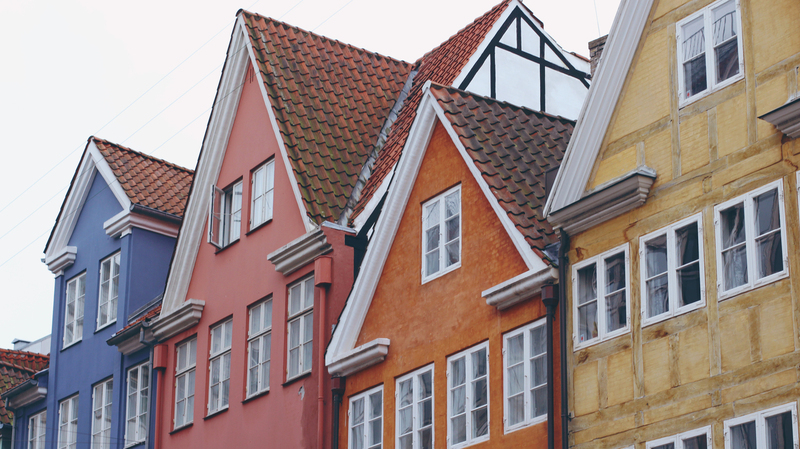 A short plane ride out of London, and you hit the Danish capital. It was extremely brisk when we touched down, but I was instantly hit by the gorgeous architecture. A short train ride takes you into the centre and we were lucky enough to be staying in a hotel I would definitely recommend (called The Absalon) a couple of minutes’ walk from the main train station, and Tivoli Gardens- which are a must-visit. The famous Tivoli Gardens play host to not just extensive and winding gardens themselves, but exotic-themed buildings, a pirate ship and plenty of rides for the faint-hearted and for the not-so-easily scared. In the winter when we visited, it was transformed into a Winter Wonderland so authentic it really made Hyde Park’s Winter Wonderland look shameful in comparison. In spring and summer though, I can imagine it being just as magical a place and it costs far less in there to have fun than a regular theme park. Strøget is a fantastic shopping street if you’re into fashion, and boasts all the great Scandi brands, like Weekday, Cheap Monday, Monki, & Other Stories and Gina Tricot amongst others. 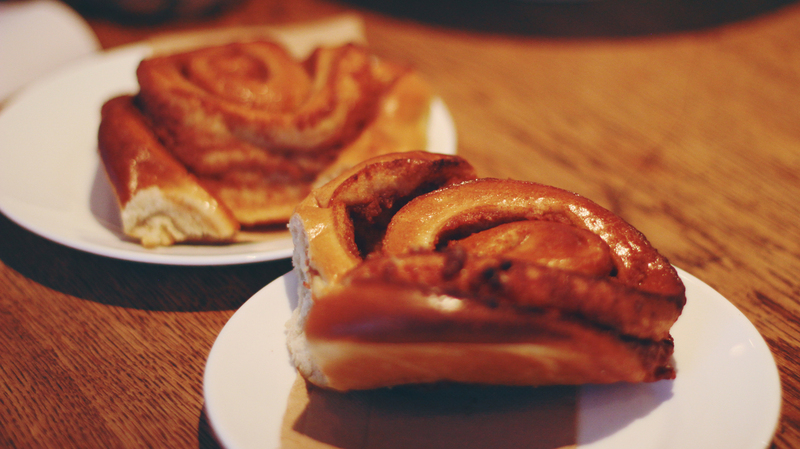 For a mid shopping snack- definitely pop into one of the many Lagkagehusets, (as common as Starbucks in Denmark), for a massive selection of fresh danish pastries and a warm drink. Cafe Norden on the main strip there is also fabulous for a decadent hot chocolate and a view over the bustling streets. If you love homeware and just adore the Scandi aesthetic, Illums Bolighus is a must-see, it felt to me like the Scandi Liberty or Selfridges, just one of those stores you have to go in abroad. For a cheaper alternative to Illums for gifts etc, Sostrene Grene was a super cute shop that I could have bought half of if it wasn’t for the case weight limit. Part Ikea, part Tiger, part market it really did have absolutely everything. Moving further from the main shopping streets is the Rundetaarn, a round tower attached to a church, that towers over the city. It’s a great vantage point, and so interesting to visit. It’s super cheap to go in, and consists of a large spiral slope within a tower, leading you to the art gallery and gift shop at the top. No steps at all! You can even go outside at the very, very top and stare out at the view. 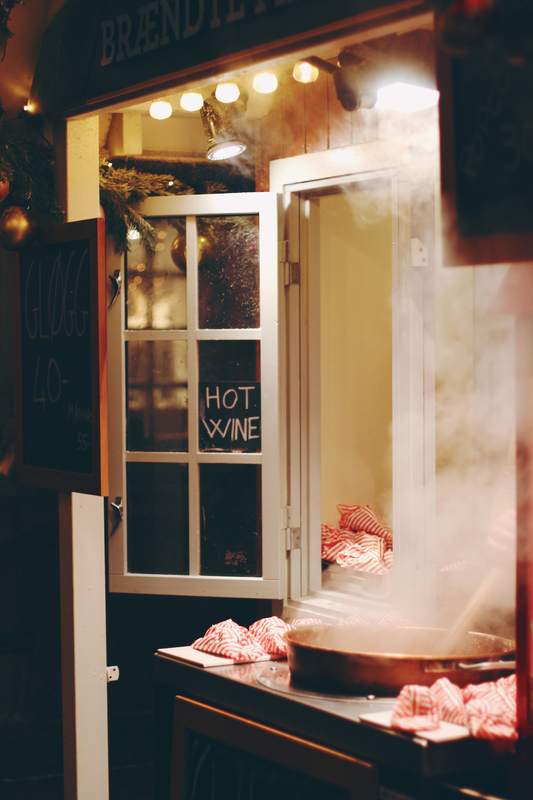 Outside, if you’ve worked up an appetite is the Hanegal hot dog stand- selling the best hot dogs I’ve ever had. Make sure you try the traditional Ristet- with pickles, pickle mayo (Remoulade), crispy onions, mustard and ketchup. The stand also moves to opposite & Other Stories on Strøget if you want to grab one! It’s worth popping into the beautiful church that the Rundetaarn is attached to just to gaze at the chandeliers and the extravagance within. 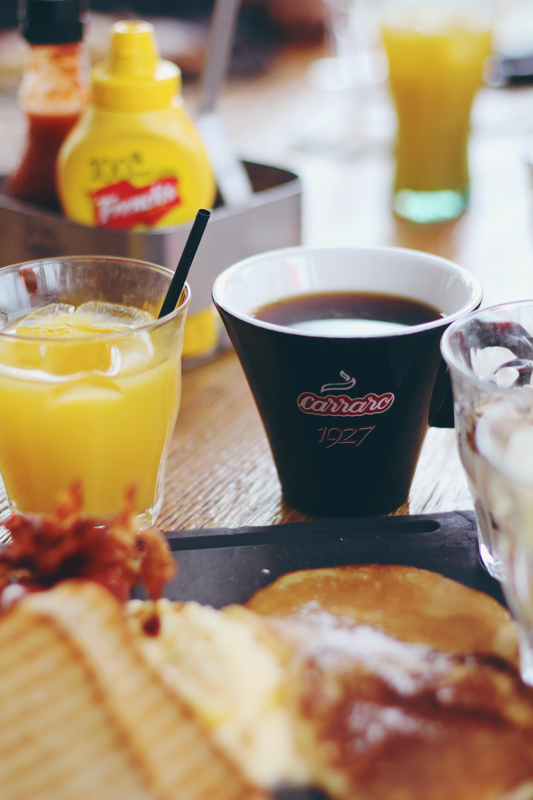 If you’re looking for places to grab a bite to eat that really impress, for breakfast I’d recommend The Living Room. Situated just minutes from the city hall and Strøget, it’s a cosy Mad-Men-esque Midcentury haven. The coffee and pastries were amazing here, and the atmosphere is so chilled. We spent a good while relaxing on the sofas in the warm before a full day out, and it was exactly what we needed. If you love Midcentury Modern furniture and love rooms that scream Bond-baddie lair, this is a great place for a cinnamon roll. 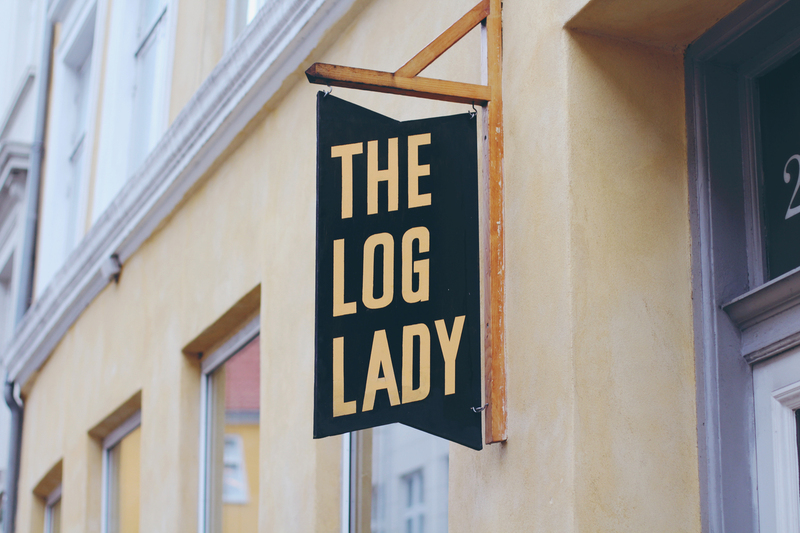 (Look out for the sign for The Log Lady across the way if you’re a Twin Peaks fan). Another breakfast place we tried out was Mad (Modern American Diner), super cool, literally modern American diner interiors- good food, not too expensive and right next to Tivoli Gardens. It reminded me of The Diner chain that we have here in London. Just as impressive, but completely different, is Mother– again another place I died and went to food heaven. They make pizza like no one else, and we all adored the bustling vibe of the restaurant and the general, almost industrial area of Vesterbro around it, it reminded me a little of East London if I had to compare it. I would 100% recommend taking your friends, partner, whoever you’re away with, and digging in to some authentic, handmade pizza in this place, complete with open kitchen. They even had live music in the bar area when we arrived. For things to do- I’d genuinely say do it all on foot. We walked miles during our trip, but it really is pretty walk-able. It’s nice to see everything en route, and stop every now and then to warm up, or cool down depending on what time of year it is. 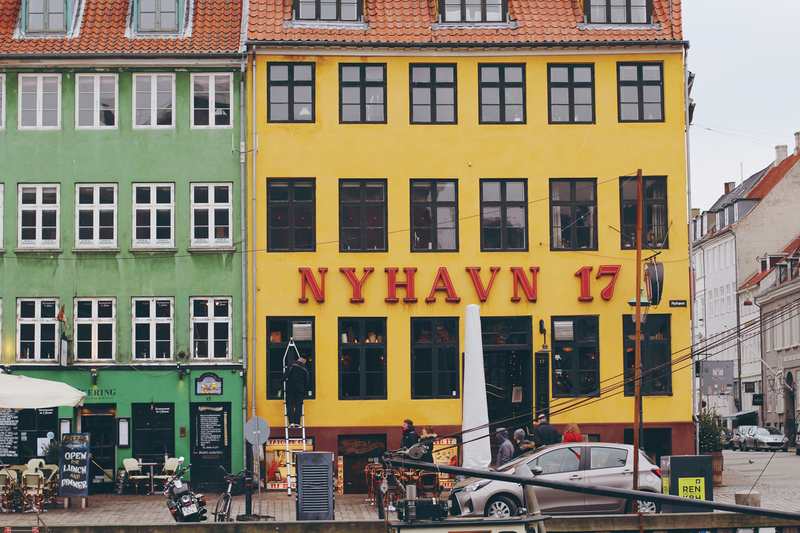 We stopped by Nyhavn which is the postcard-esque harbour so often associated with Copenhagen. While it does have a tourist-trappy vibe, I bet even more so in summer- it’s worth a little wander at the very least. We then walked up to Amalienborg– where we witnessed the Danish equivalent to the changing of the guard- inadvertently- which was a nice surprise. It’s funny how after years of living in London and rolling my eyes at everyone stopping to watch it in my city, I still found it interesting in another country. 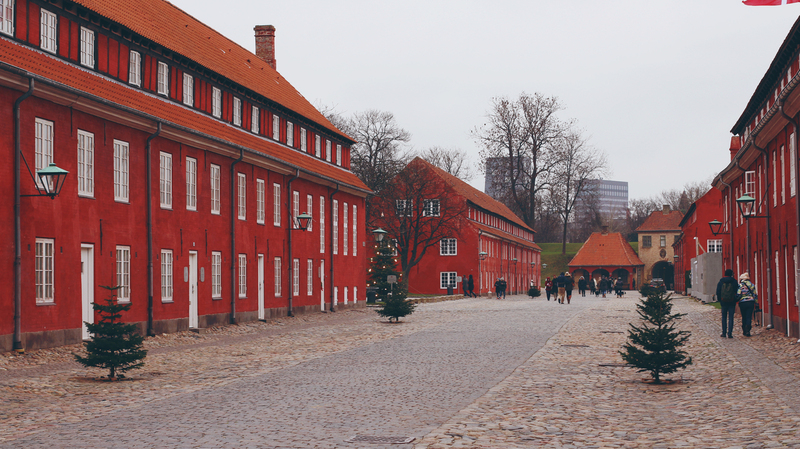 We then took a trip up to the five pointed star island and ramparts of Kastellet, which I loved. 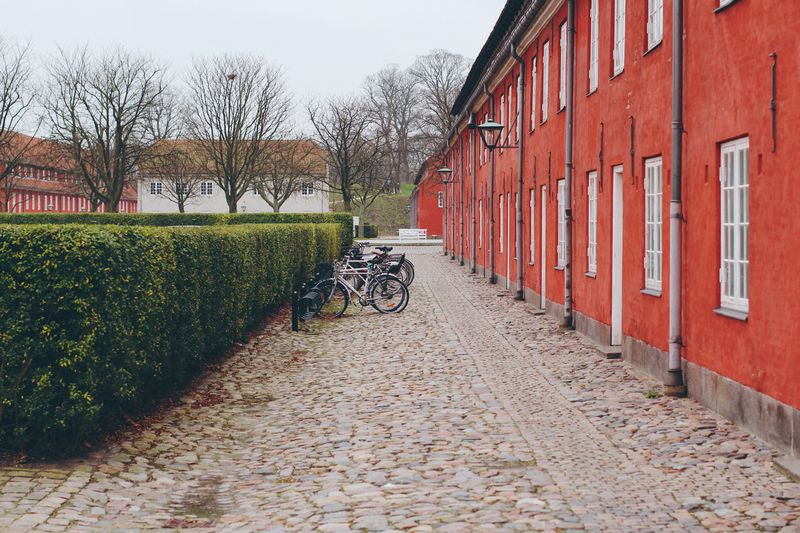 The red buildings on the island are synonymous with pictures of Copenhagen, just as Nyhavn harbour is. The Little Mermaid isn’t that much further along the coast either. Another touristy-yet-fun place to visit is the Crown Jewels at the Rosenborg Castle– they have some serious bling, and my favourite piece was a diamond-encrusted skull goblet. Yes please. Going a little further form the very centre of the city will take you Nørrebro and to the Assistens Cemetery. Our friend contacted one of his Danish friends while we were in the city, and he very kindly took us through the cemetery to explain who everybody was, and to read the stones to us. It wasn’t as morbid as it sounds! I loved seeing Hans Christian Andersen’s grave- the author of so many of our favourite fairytales. We also saw the grave of a ‘time traveller’- if you’re around you have to go check it out! Out of the very centre of the city into Christianshavn is Papirøen which we were desperate to visit. Although it was out of season, (so closed when we were there), the street food ‘warehouse’ made out of shipping containers is seriously cool, and I have it on good authority from my sister that it is the place to be during the summer months. There’s a great view of the opera house from here and a good walk along the banks amongst the boats, and cute little coffee shops like Parterre. Whilst in Christianshavn we witnessed one of the craziest things ever- a mass jumping into freezing water on a lido along the bank. Hundreds of people crowded in freezing conditions (with sauna trucks on stand-by) to jump into sub-zero temperatures to ring in the new year. It was one of the highlights of the trip, but not something I would have liked to have done- definitely a spectator sport! One ‘sport’ that we definitely didn’t leave to anyone else, was having a go on the street trampolines along the banks, just a short walk from Nyhavn. It was very surreal bouncing around on trampolines in the middle of the street- but you’ve got to give it ago. 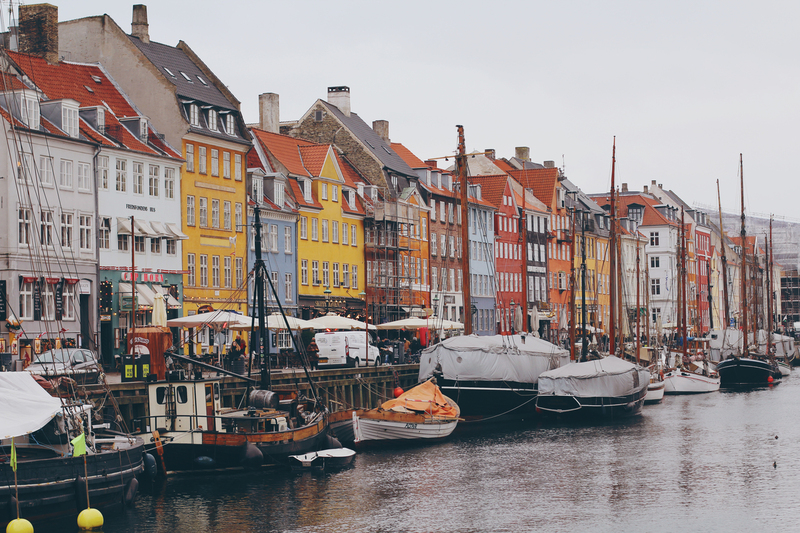 I’d definitely recommend a city break in Copenhagen- and it can be SO affordable to do. We didn’t find it to be half as expensive as we’d heard it would be, however we do live in London so it’s probably not the best place to make a comparison against money-wise! That being said, it really wasn’t expensive in any sense, be it eating out, entry into attractions, shopping, travelling on public transport, we weren’t shocked by prices at any point along the way, so that may be a myth! We had a fantastic time with our friends there- and as much as I loved it, I wouldn’t need to go back there now, as I feel like we really did cram so much into the few days we were there. We truly made the most of it. The only thing we missed out on was the Tycho Brahe Planetarium, but other than that- we really do feel like we saw so much, and got a good feel for the city. 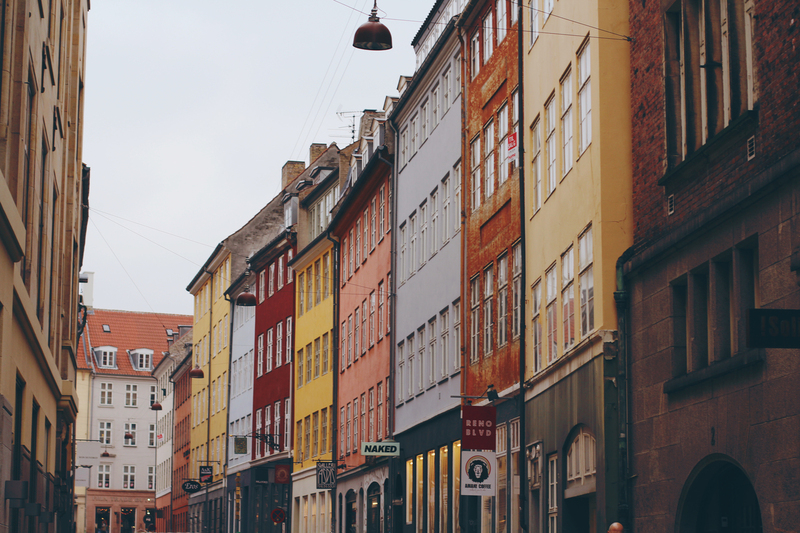 It’s been so long since I traveled to Copenhagen, but your beautiful pictures brought me back. Thanks for sharing your adventures with us!